Ideal Visual Scare for Seagulls and other Migratory Birds! 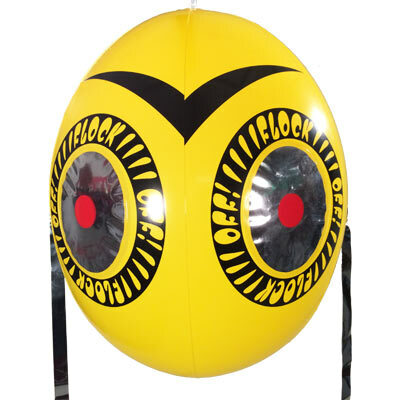 Bird Bopper is a visual scare decoy that "bops" around in the wind scaring birds away within its vicinity. Bird Bopper is a long lasting and economical bird deterrent. 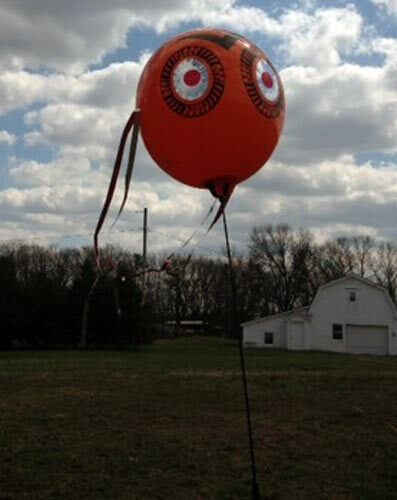 Bird Bopper does not require any helium and only needs wind to whip back and forth while the attached mylar strands also move to distract nuisance birds. Designed for use in backyards, gardens, orchards, and other agricultural settings. For best bird control results use in combination with other bird deterrents. Inexpensive and effective visual bird decoy. Order with or without flexible aluminum base pole. Fiberglass upper shaft, whips in the wind. Tested to hold air for up to 6 months! Works in winds up to 60 mph. Shipping Weight (Ships from NJ) 3 lbs. Inflation Method Use air pump, foot pump or lungs.